How’s your bond portfolio doing? It should be a rock of stability right now. Of course we may need to look past prices, which can swing wildly, and focus on net asset values and income, which are more reliable anchors. 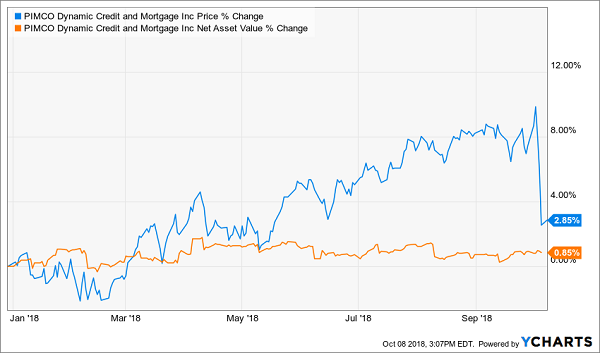 For example I’ve been hearing from readers who were concerned that our excellent PIMCO Dynamic Credit and Mortgage Fund (PCI) isn’t “acting well.” Its price has whipsawed around this year, mostly in our favor. But lately it’s pulled back amidst the broader market drama and subscribers are worried the market “knows something” that we don’t. PCI is still a good buy today, though it’s not quite the screaming bargain it was then. 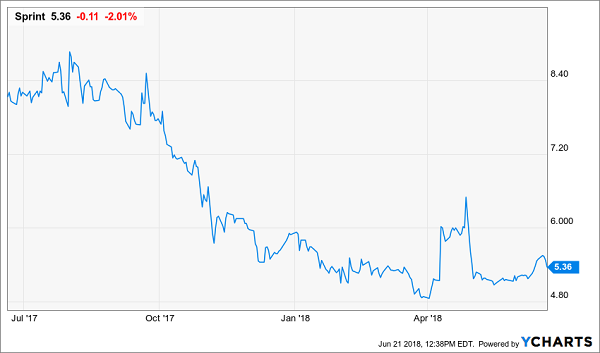 The fund’s “free money” window – its generous discount to NAV – has nearly closed. This initial deal helped us collect 8.6% returns in just over nine months. So where’s the next bond bargain with “1% per month” potential? 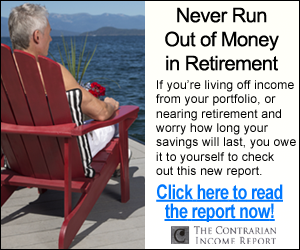 I’ll outline 17 great plays that are not currently in our Contrarian Income Report portfolio in a moment. First, I want to make sure you’re not buying popular marketing vehicles by mistake. 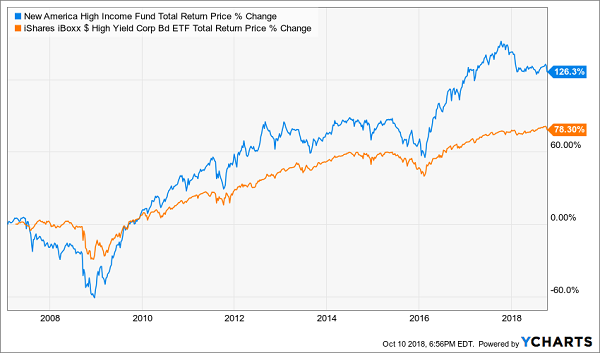 You need to stick with handpicked CEFs (closed-end funds) and not be lured by the fancy and frequent advertisements run by the sales wonks promoting their latest ETF (exchange traded fund). Be careful how you buy your bonds. The most popular tickers have a few fatal flaws that’ll doom you to underperformance at best, or leave you hanging in the event of a market meltdown at worst! It’s convenient, as easy to buy as a stock. It’s diversified (for better or worse, as we’ll see shortly) with 998 individual holdings. The accessibility of funds like HYG appears cute and comfortable enough. But remember, ETFs are marketing products. They are designed to attract capital for the managers, not necessarily to earn you a return on the capital you invest. Big money is spent on television, print and online advertisements for ETFs. Less cash and thought is put into the actual income strategies that ETFs employ, and their lagging returns reflect it. Let’s pick on the three biggest flaws most bond ETFs suffer from. Then, I’ll share a superior way to buy bonds that is just as easy. Since its own inception 30 years ago, HYB has delivered outstanding returns of 9.6% per year with most of it coming as cash distributions. And it still looks like the better play for new money today. The fund pays 7.9% today and it trades at an 13.4% discount to the NAV of the bonds it holds. In other words, you can buy it for less than 87 cents on the dollar. HYG meanwhile pays just 5.8% and trades at “par” to its portfolio – or 100 cents on the dollar. No deal there. “Passive” methods – building portfolios based on rules – don’t work well in the land of bonds because fixed income expertise can’t be readily pre-programmed. Though it’s so rare as to be nearly impossible in equity mutual funds, top CEF bond fund managers can and do deliver truly top returns! Here’s the main reason why bond indexing is bad. Let’s consider stock indexes, which are weighted by company size. Generally speaking, the larger the firm, the more it matters in the index’s performance. If you “buy by size” in the debt markets, it’s counterproductive. Stock market value for indexes doesn’t include debt. But bond markets are all debt by definition. Follow the computers in Bond-ville and you’d maximize your exposure to the bonds of the firms that borrow the most money! That’s the opposite of what we’re looking for in bonds, where our goal is to maximize our “coupon” (the percentage yield) while minimizing our risk (and making sure we get paid back our principal). Will this highly indebted telecom dodge bankruptcy until these coupons expire? Perhaps. This is the type of decision that I’d trust to a human manager (such as at HYB) rather than a computer (at HYG). They are subject to meltdowns if panic selling occurs. Here’s why. If you sell HYG today, you’ll get your money in exchange for your shares. And it will be iShares’ problem to settle up their end (by selling those Sprint bonds and more). Problem is, we’re talking about bonds rather than stocks here, and there is no readily available liquid market for that Sprint paper. 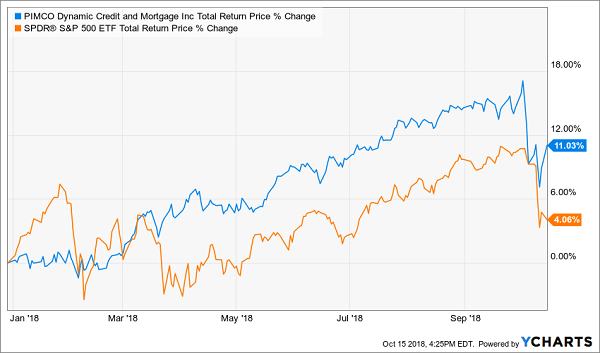 Which means if a lot of selling occurs, HYG itself may take a hit if it has to unload its bonds at a discount (say, 70 or 80 cents on the dollar) to meet investors’ withdrawals. CEFs like HYB don’t have this problem. They have fixed pools of assets, which help their managers ride out ups and downs. 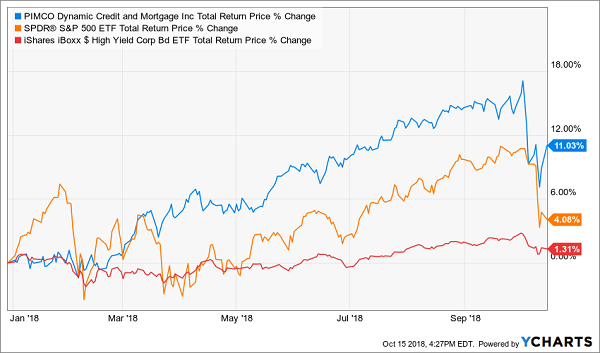 So long as we hire the best managers plan, who buy good bonds that are funded by reliable cash flows, we (and they) are fine. HYB has only $200 million in assets, which is a very good thing. It can be much more nimble than HYG with its own buys and sells. And thanks to its CEF structure, manager Ellen Terry is never forced to sell her holdings low. Fortunately, that’s where Michael comes in. His CEF Insider publication is dedicated to diversified, nuanced 7.5% yields and annual total returns of 15% or more. If you like the idea of bagging bargain dividends and getting paid while you lock in big capital gains to boot, you’ll love The Professor’s research and the 17 funds in his members-only portfolio. 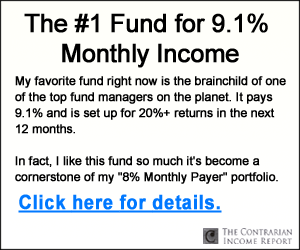 Click here to learn more about CEF Insider and sign up for your 60-day risk free trial.